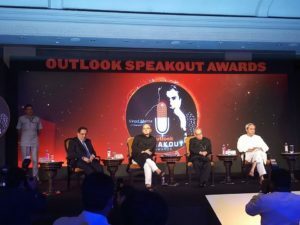 New Delhi: Odisha Chief Minister, Shri Naveen Patnaik has won the prestigious “Outlook Speakout Award-2017” as the best Administrator in the country. 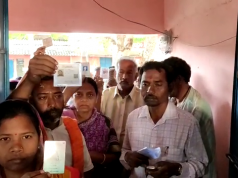 He was chosen amongst six Chief Ministers including Shri Nitish Kumar, Shri Manik Sarkar, Ms. Mamata Banerjee, Shri Debendra Fadnavis and Shri Siddha Ramiah, who were nominated for the Award. 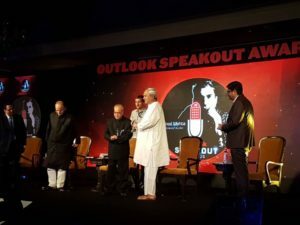 The Award was presented to Shri Patnaik at a glittering function in New Delhi today by Former President Shri Pranab Mukherjee. 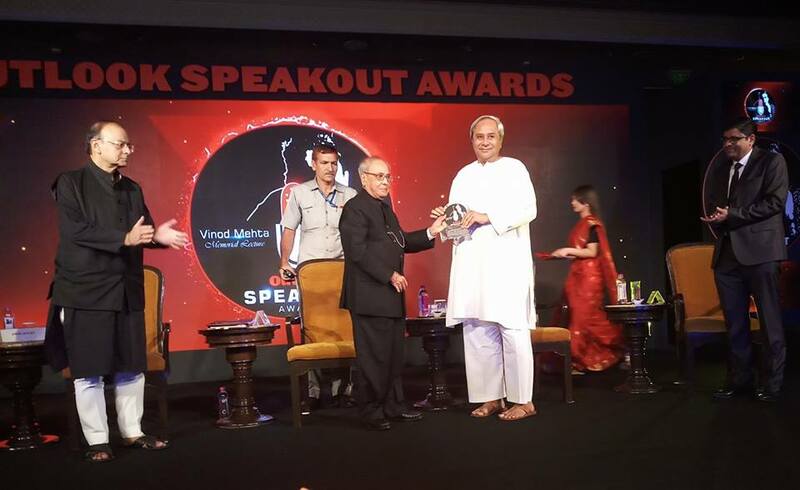 Accepting the award Shri Patnaik said, “it is a proud moment for all of us. I dedicate this award to the Four Crore People of Odisha. We are on the right path. I will get satisfaction when our Odisha becomes the number one State in the country”. The Award is recognition of Odisha’s exemplary turnaround under the helmsmanship of Chief Minister Shri Naveen Patnaik. 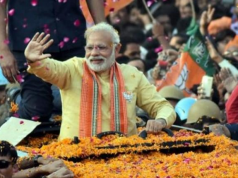 Inheriting a Government lagging on all fronts and a State devastated by the Super Cyclone, Shri Patnaik scripted a success journey for the State beyond comparison. Under his stewardship over the last 17 years, Odisha has shed the most backward State tag and is now held as a paradigm of development and economic growth. Odisha is a fiscal surplus State today. It is also the most favoured destination for investment in the country. Odisha has registered economic growth of nearly 8% in 2016-17. Odisha has recorded one of the sharpest drops in poverty in the country with 80 lakh people raised above the poverty line. The poverty in Odisha has declined by 24.61 percentage point from 57.2% in 2004-05 to 39.59%, the highest reduction among major States. Odisha’s agricultural transformation has been unparalleled. From being dependent on others for its minimum food requirements, Odisha has not only become self sufficient in food grain production but also plays a vital role in ensuring food security for the people of the country. Once an importer of rice, it is now the third largest contributor to Public Distribution System. Odisha is the only State in the country to have doubled farmers’ income in the last 10 years. Sustained efforts for agricultural developments through pro-farmer policies, irrigation expansion and technology infusion has resulted in winning National Krushi Karman Award four times in the last five years. Across human development indicators Odisha’s surge has been astounding. The State has registered the highest rate of decline in Infant Mortality Rate in the country since 2000. From being the highest IMR rate it has now brought down the rate to 40 per 1000 live birth, which is lower than the National average of 41. Tribal development has been very close to the heart of Shri Naveen Patnaik. Odisha Government’s initiative for spreading education among the Tribal Students is paying rich dividends and has been successful in empowering our tribal youth. Odisha has become a model in social security, disaster management and empowerment of women and youth. While thousands fell victim to the 1999 Super-Cyclone, the State’s management of another Super Cyclone Phailin 2013, achieving the gold standard of zero causality and winning global acclaim, is testament to the leadership of Shri Patnaik. Odisha today is presented as a model in disaster management across the world by none other than the UN. 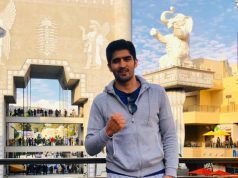 The World class arrangements at 22nd Asian Athletics Championships at Bhubaneswar has brought global acclaim and proven our capacity and skills. Shri Patnaik’s leadership, administrative acumen, unquestionable integrity and dedication to people has shaped a new Odisha that stands for development, growth and opportunities.